The Center for Career and Life planning assists students with resume advice, identifying and researching careers, graduate school advising, and general career readiness assistance. Students who are also looking to identify and apply for academic internships or who are interested in finding on-campus employment opportunities may meet with Career & Life Planning as well. Drop-Ins are available for students and alumni during the Fall and Spring terms Monday through Friday between 10 a.m. - 2 p.m. Topics to discuss during drop-in hours include, but are not limited to, career counseling, internship search, student employment, resume review, and more. Come check out the new career studio and work on getting career ready! Schedule an appointment online! 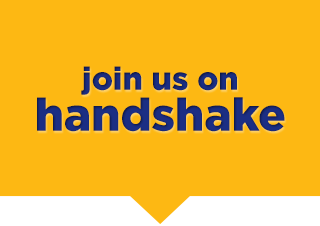 Simply log into your Handshake account, create your profile and request an appointment directly from your homepage. Steps on how to create your profile and request an appointment can also be found on our Handshake page. If you are unable to schedule an appointment, feel free to give our office a call at 407.646.2195, as we are happy to find a time for you to meet with us. Scheduling an outreach presentation is efficient for larger groups and organizations. If your group would like for us to present, fill out our Request Presentation form.